All white feathers. Shorter than a Great Egret and taller than a Little Egret. Black line of gape ends right under the eye. Thicker and shorter bill than a Great Egret. 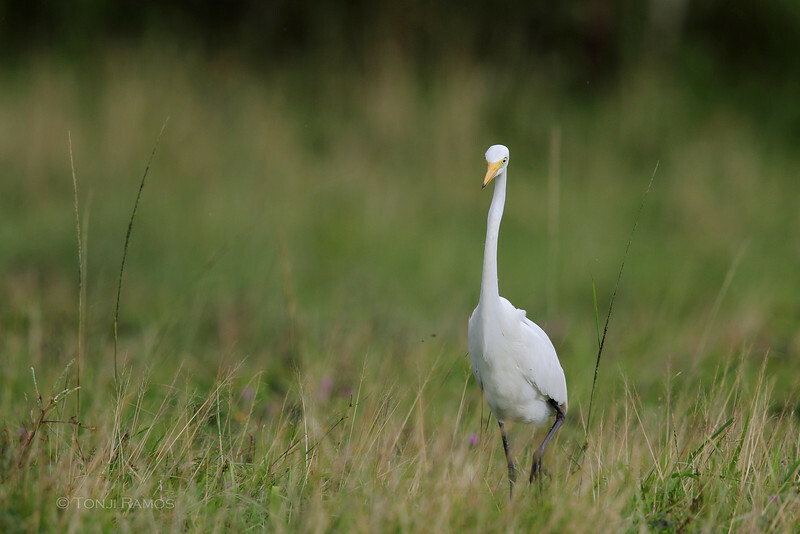 S- shaped neck with a smaller kink than in the Great Egret. We first saw this bird at Manila Film Center while birding with the Wild Bird Club of the Philippines. We eventually saw this bird all over the country.